A common misconception is that pastels are the same thing as chalk. They're not. Chalk is made from a form of limestone that's infused with dye. Pastel sticks are made of pure powdered pigment and a binder that holds the powder together. The pigment is the same pigment that's used to create all colored art media, including oil paints. Soft pastels have very little binder and are almost pure pigment. When viewed under a microscope, a pastel particle has many facets, similar to a diamond. That's why pastel paintings are luminous and reflect light like a prism. Many of the famous paintings created by renowned impressionists Edgar Degas, Claude Monet, Mary Cassatt and other masters were painted with pastels. Pastel doesn't oxidize, so it won't fade, darken, yellow or crack over time. A pastel painting can remain brilliant and be enjoyed for generations to come. When properly framed behind glass, a pastel painting is the most stable and permanent of all art media. I paint with premium grade soft pastels, primarily Schmincke pastels. They're exceptionally vibrant and creamy. The cotton suede mat board is the same suede mat board that you see in frame shops. It's not animal suede—it's synthetic suede made from cotton. I use Crescent Moorman Fabric Matboard-White Core Suede. It's premium grade, lignin-free and acid-free. Acid-free materials won't break down over time and discolor the original artwork. If you're curious about the look or texture of suede mat board, just stop in your local frame shop and ask to see a sample. And if you're an artist, be sure to ask for some leftover scrap pieces so you can take them home and experiment. 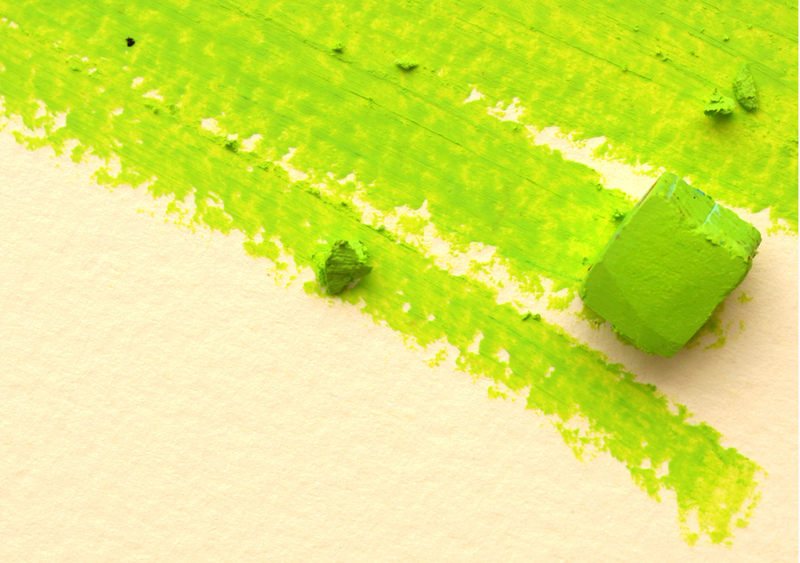 Painting with a premium soft pastel on suede board is like painting with a stick of butter. The suede gives the paintings a textured, velvety look. The surface holds a lot of pastel, so whether I'm layering, blending or using raw strokes, I can create just the effect I want. The pile of the suede really absorbs the pastels, so there's much less loose pastel dust than with traditional supports like pastel paper. That means I don't need to spray my paintings with a chemical fixative. Another advantage is that mat board is much sturdier than pastel paper, so handling, storing and framing the paintings is much easier. And because the pastel is hand-rubbed into the suede, each painting is truly a one-of-a-kind creation that can't be duplicated.